Presented live from the 2012 Morningstar Investment Conference! 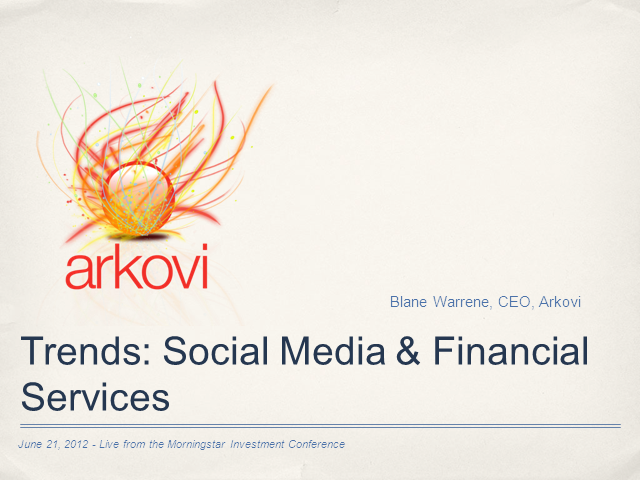 Arkovi studies how financial advisors use social media and have released their second annual recap on trends in usage. See how social networks are being leveraged in business everyday.